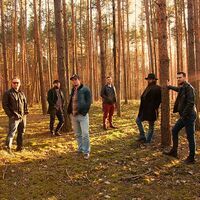 Blackberry Brothers Band was formed in the spring of 2015 in Poland. That moment changed the life of 6 people who decided to start a very consistent, everlasting musical journey as the Blackberry Brothers. This journey could easily be described as their private vendetta against self-proclaimed prophets who keep making prophecies about imminent and irreversible death of Rock And Roll. On one hand, their music could be defined as a tribute to the Masters of Rock and Blues back from the 60s and 70s, but on the other, their music is indebted to the contemporary, mostly American, blues-rock. Despite their short history, the young band has still been able to introduce and test their skills in many different country parts. In 2015 Blackberry Brothers had the honor to become the finalists in many different festivals, such as the "Musical Autumn" in Grodków (one of the oldest musical contests in Poland) or the "Rock on the Beach" in Tychy. 2016 turned out to be even more active and successful – the band released their debut EP which was recorded in Vintage Records Studio. In 2017 they played many gigs - the most important was Rawa Blues in Katowice which is the world's biggest indoor blues festival. In November of 2017 they visited Custom34 Studio in Gdańsk where they recorded their debut album "Old Soul", which was released in May 2018.